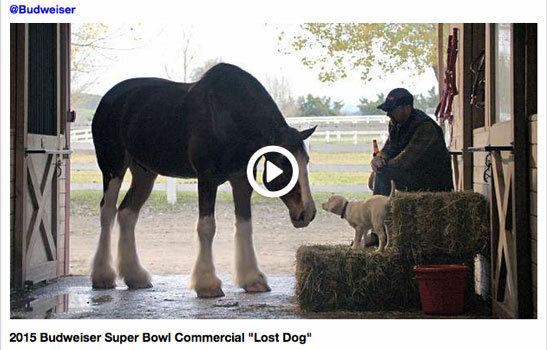 The adorable puppy who stole everyone’s hearts during Budweiser’s 2014 Super Bowl commercial is back but this time he’s lost. That’s right…they’ve gone there with this year’s advertising spot. The puppy is lost, all alone and far from home. Grab the tissue box and check out the full Super Bowl 2015 commercial that, as is the new norm, has debuted prior to the Big Game. FYI on the music: It’s “I’m Gonna Be (500 Miles)” performed by Sleeping At Last.